Jong-Woo (Shin Ha-Kyun) went to prison four times for petty crimes likes burglary and car theft, but he now works as an auto mechanic. He has a 17-year-old son named Gi-Hyuk (Lee Min-Ho), which he raises by himself. Gi-Hyuk is a smart kid, but troubled. The father and the son also do not get along. 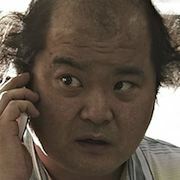 Although, Jong-Woo might appear like an irresponsible father, he tries his best and even works at night as a private taxi service. 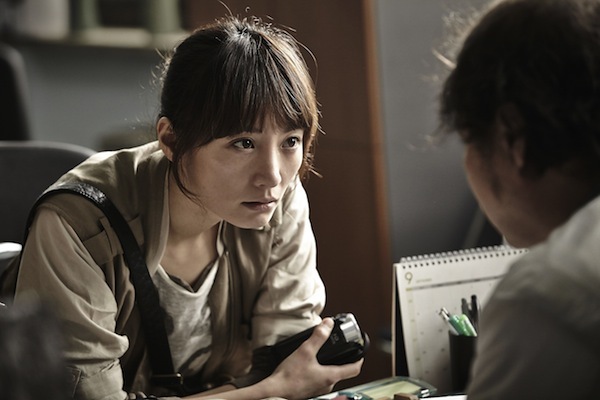 One evening, Jong-Woo drops off a couple at a ritzy hotel. Suddenly, another man hops into Jong-Woo's car and tells him to drive off. 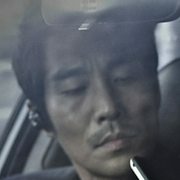 Once the man pulls out large stash of cash, Jong-Woo is happy to drive the man wherever he wants. The man asks Jong-Woo to drive him to a delivery company. Jong-Woo walks into the delivery company and asks for directions to the bathroom. He then notices the man mailing off a small electronic device. The man then comes up to Jong-Woo and offers him $1,000 if he will drive him to an apartment and then to the airport. 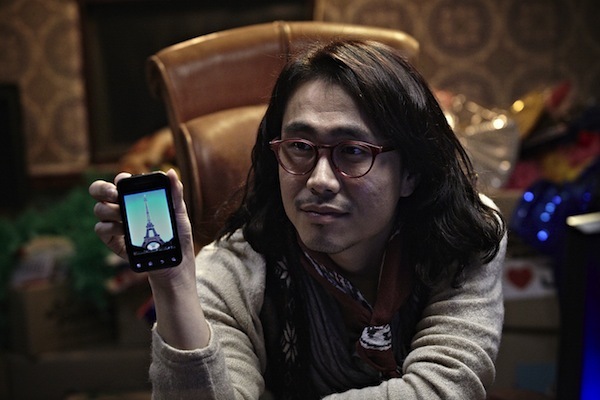 Jong-Woo happily agrees, but he first grabs the man's cellphone and calls his own cellphone. Once they get into the parking garage of the apartment complex, Jong-Woo's life is about to turn completely upside down. He runs out of the garage on foot and becomes the prime suspect in a murder case. Meanwhile, Gi-Hyuk is shocked and confused that his father is now a murder suspect. Gi-Hyuk attempts to uncover the truth. Although movie "Running Man" shares the same title with Korean SBS variety show "Running Man," the two have no have relations. "Running Man" is the first South Korean film to receive investment from Fox International Productions, a subsidiary of 20th Century Fox. Fullheart5 Sep 19 2014 1:21 pm Hate to disagree with other comments, but liked the movie and especially Lee Min Ho. Have liked him since Rooftop Prince and he is quite good looking. The movie was exactly as marketed comedy thriller. Pavel Greco Apr 03 2014 4:35 pm Shame on the great korean Cinema. Edoy Dec 05 2013 10:03 pm Oh, the movie's terrible. I didn't expect anything but a good entertainment, and based on the synopsis, it should do the job. But boy this movie fails big time. For all the first-rate tech jobs (although the CGIs look obvious), the characters in it are either too stupid or too obnoxious to make the story work. The female reporter character gets the trophy as the worst creature ever written on screen. As the movie goes along, more stupid characters appear. It's helpless. And I'm talking here as a fan of Shin Ha-kyun. Linh Jul 08 2013 1:40 am I saw it but of course it was in Korean with no subtitles (we were on a bus) but the point is that its good. Not like Collateral. aicha May 03 2013 9:03 pm I read the synopsis, and it sounds like a rip off Collateral starring Tom Cruise and Jamie Fox, no? lurazop Apr 30 2013 10:48 am so, it is action comedy or what? Tim Franklin Apr 14 2013 12:54 am such a nice actor Shin ha Kyun i have seen his thirst 2009 movie he played cruel husband role, i will definitely watch Running Man because promo looks awesome. try feb Mar 29 2013 12:39 am i really hope they're doing promotion on Running Man (variety show) since the title is same.. hihi i want to see Shin Ha Kyun appear in a variety show..
vale May 29 2012 10:08 pm Good luck with the filming . I am looking forward to see Mr. Shin's new movie.